Printing has evolved, and so have we. 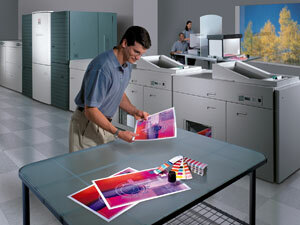 And while print quality has never been better, today it’s about so much more than just visual results. More precise message delivery, response and measurement are changing the way marketers think about print. Our data-enhanced print capabilities are helping customers reach narrow segments and smaller audiences, even down to the individual person, cost-efficiently and with improved results. Our broad offering of traditional and digital printing capabilities enables you to choose the one method or combination of print solutions that meets your needs most effectively.